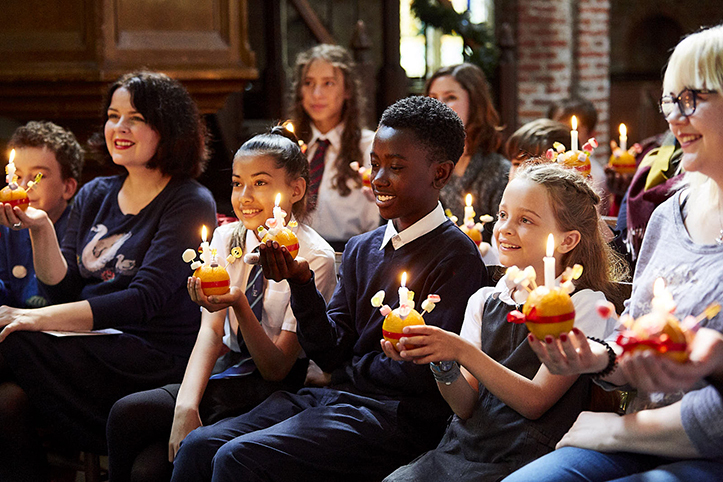 This year marks 50 years since The Children’s Society brought Christingle to this country. Everyone is invited to join the celebrations to make this 50th anniversary year the biggest for Christingle yet. For 50 years, Christingle services have helped The Children’s Society to support more than a million children and young people, but a million more are living with a range of serious issues in their lives today, including violence, abuse, neglect and poverty. Many feel alone and have no one to turn to this Christmas. The money raised from your Christingle collections will help The Children's Society support these vulnerable young people and work to ensure that they have their first Christmas full of hope and free from fear. The society provides a wide range of free resources for churches, schools and communities to use, helping you to make sure that your Christingle celebration is the best it possibly can be. Their planning and promotional resources will help you to prepare and get the word out. You can also order the essential items you will need for your service (including wax candles, red tape and collection envelopes), and find guidance around your collection for The Children’s Society. The Society also provides a number of digital downloads in order to help you put together a Christingle service, whilst helping your congregation reflect on the work of The Children’s Society. The resources include seasonal worship materials, which are suitable for leading a Christingle service at various points during the Christingle season, including Advent Sunday, Christmas Eve, Epiphany and Candlemas. They also provide children’s activities, including a Messy Church Christingle resource. To find out more about Christingle, or to order these resources and more, visit christingle.org/shop or call them on 0300 300 7000. The main picture taken by © John Snedden.